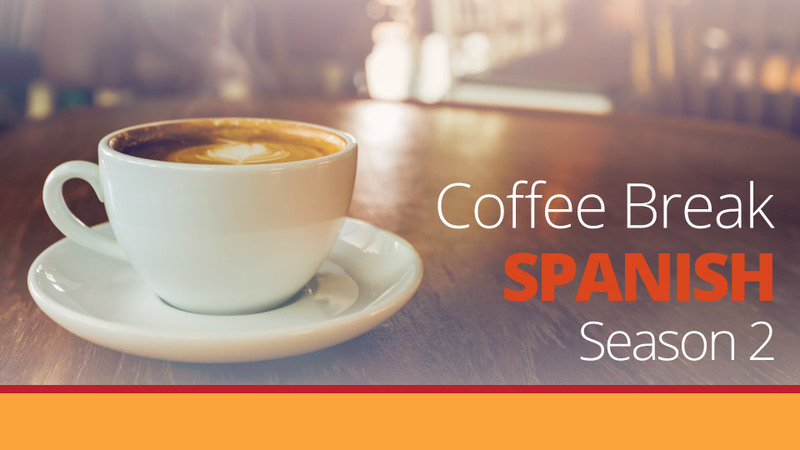 Hello and welcome to another season of Coffee Break Spanish! In level 1 we concentrated on learning useful words and phrases for a whole range of situations you’re likely to encounter on a trip to a Spanish-speaking part of the world. However, to a certain extent we’ve been concentrating on set phrases. In level 2 it’s now time to look more deeply at how the language is constructed, and you’ll learn to create the language yourself. Episode 1 introduces the idea of verbs and you’ll learn to conjugate a verb in its six forms. You’ll be talking about what you do at the weekend, and answering the question ¿Qué haces durante el fin de semana?. 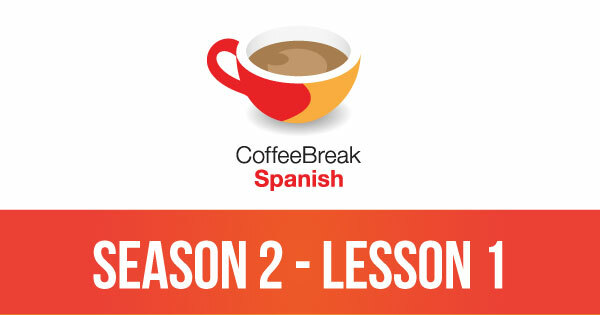 Please note that lesson 01 of Season 2 was originally known as lesson 201 of Coffee Break Spanish. We have renumbered the lessons of each season as lessons 1-40 to make things more simple for our listeners. Hi Mark – First off,I want to thank you and Kara for helping me to finally get to grips with learning Spanish. I have tried many times during the years, and have always given up in frustration. Your relaxed, fun, easy-going personal style has succeeded where other Spanish courses failed (or I failed them, whatever). I cannot thank you enough – it is a real pleasure to have you and Kara as my teachers. With this lesson you teach us that “comer” measn both “to eat” and “to have lunch”. However, in other Spanish books/online dictionaries “to have lunch” is “almorzar”. Is there a difference? And if so, what is it? Many thanks again, guys – Radio Lingua deserves all the awards that it receives – and more! Un abrazo! Comer:Masticar y desmenuzar el alimento en la boca y pasarlo al estómago. Almorzar:Comer algo en el almuerzo. Almuerzo:Comida que se toma por la mañana o del mediodía o primeras horas de la tarde. Eating: Chewing and mash the food in the mouth and pass into the stomach. To lunch: Eat something at lunch. Luncheon: Is taken in the morning or early afternoon. I have a question about page 4 of the premium guide. It says that the verb “to work” is “trabjar” – is this correct, or should it be “trabajar”?